Note: HD TVI High Definition Camera require ONLY HD TVI DVR system to work with, It will compatiable with HD TVI DVR only. 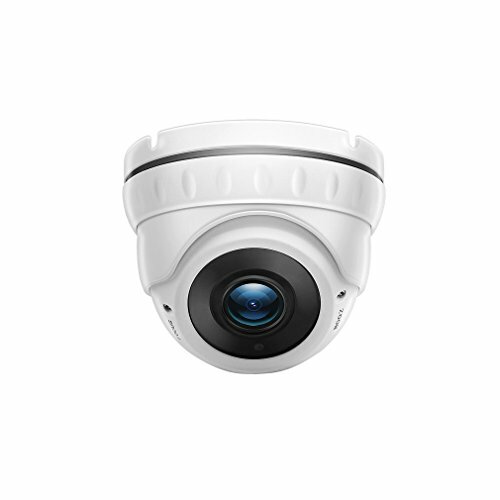 IR LEDs: 36PCS,IR range: 30m/99ft,2.8-12mm Vari-focal Lens.Waterproof level : IP66 work outdoor/indoor place. 2.8-12mm Vari-Focal Zoom Lens Weatherproof 12V DC. 1/2.7"CMOS 2.0 Megapixel SONY Sensor HD-TVI Camera,camera works only with HD-TVI DVRs. 2 Year Warranty,ship by DHL express shipping,takes 4-9 days to deliver. If you have any questions about this product by TMEZON, contact us by completing and submitting the form below. If you are looking for a specif part number, please include it with your message.